​Find the perfect gift for Dad and celebrate summer with a new pair of shades for yourself! Browse the entire 2019 collection, available with and without your prescription. Maui Jim’s most advanced proprietary lens material combines optics nearly as clear as glass with just one-third of the weight, protect your eyes from harmful UV and high energy blue light while eliminating 99.9% of glare. See the world at its brilliant best! FREE GIFT with every purchase. Free parking all day in all garages today- Enjoy food from local restaurants, live music and more at Reston Town Center's annual Taste of Reston event! JF Rey has taken over the fashion industry since 1985 with their trendy and showstopper style. JF Rey is known for its unique and fashion forward eyewear to suit everyone from children to adults! They even have an entire line especially for petite faces. 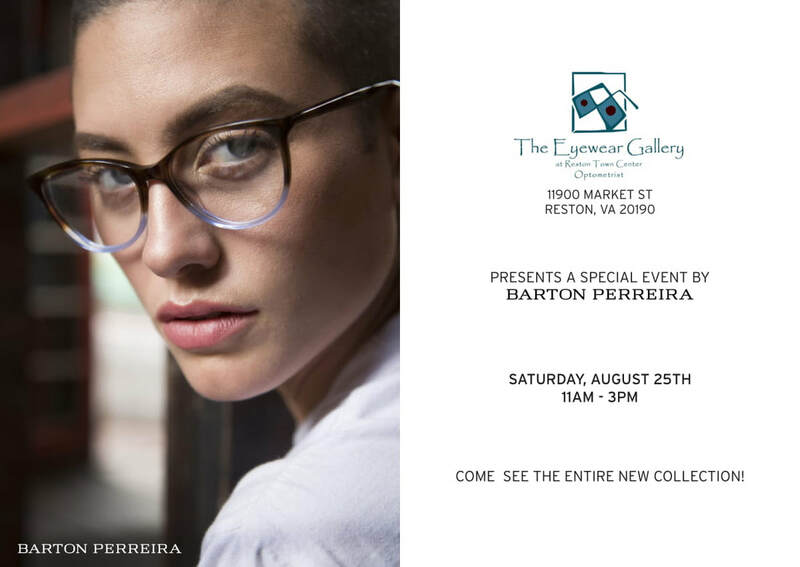 We invite you to join us to see JF Rey and Boz's entire eclectic collection on Saturday, September 15th, 2018 from 11 AM - 3 PM that are exclusive to The Eyewear Gallery in the Reston area. Dedicated to pure luxury, Barton Perreira’s approach to fashion redefines style and elegance. These beautiful eyeglasses and sunglasses, for both men and women, are handmade in Japan by skilled artisans using the finest materials. Each design is produced in limited quantities making each piece as exclusive and unique as its wearer. 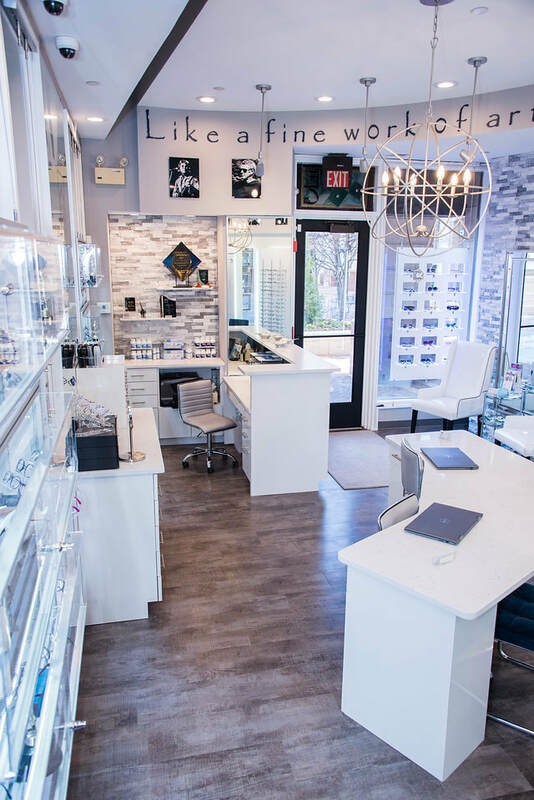 ​ It's been 10 years since The Eyewear Gallery opened our doors in Reston Town Center and we have so much to celebrate! We appreciate your loyalty and trust over the years, allowing us to care for you and referring your family and friends. Thanks to you, we have been voted the #1 BEST Eye Care Provider in Virginia Living Magazine for the 3rd consecutive year and received Talk of the Town's Customer Service Award 7 years in a row! We take such pride in seeing your smiling faces in your fabulous frame, so please don your favorite pair and join us for a toast in our newly renovated boutique! MAUI JIM SUNGLASS STYLE SHOW! Find the perfect gift for Dad and celebrate summer with a new pair of shades for yourself! Browse the entire 2018 collection, available with and without your prescription. Maui Jim’s most advanced proprietary lens material combines optics nearly as clear as glass with just one-third of the weight, protect your eyes from harmful UV and high energy blue light while eliminating 99.9% of glare. See the world at its brilliant best! FREE GIFT with every purchase. ​Sunglasses are sunscreen for your eyes…Start early in life and wear them whenever you’re out in the sun to avoid vision damage down the road! ​Join some of your favorite small, local businesses at the 3rd annual Sip & Shop event! This fabulous event brings together some of our favorite things- WINE and SHOPPING while supporting Women Giving Back (WGB), a local non-profit that helps women & children in crisis by distributing clothing at no cost (www.womengivingback.net). Raffle tickets ($10) for a brand new Louis Vuitton tote to to help benefit WGB! Weird Brothers... and more to be announced! Visit The Eyewear Gallery every first Friday of the month and feel extra fabulous when you receive 20% off on your complete eyewear purchase. ​Just mention this offer to our Opticians. ​Wiley X and Rudy Project are excluded.